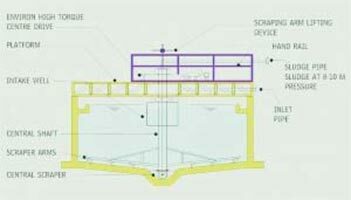 The manufacturing of our Clarifier Scraper is done in accordance with the set industry norms and guidelines, utilizing the finest raw materials and modern machines. Our Clarifier Scraper is known for its sturdy construction, finer finish and resistance to high temperature and pressure. It offers impeccable performance and a longer functional life. 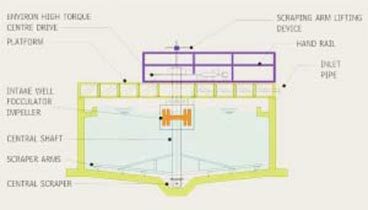 To ensure defect free delivery of our Clarifier Scraper at the customers’ end, it is stringently checked on well-defined parameters of quality set by the industry. Minimal field labor required to install. No separate buying and installing of sludge recirculation pumps. No special construction R.C.C. dry sump for pump. 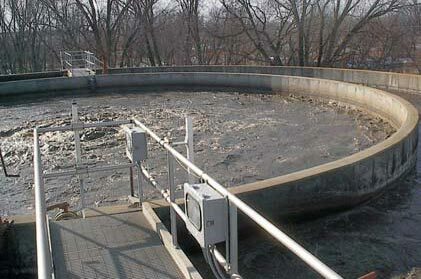 Clariflocculator are generally used for chemical primary treatment for effluent. Instead of separate flocculation & clarification, clariflocculators are generally used. This results into economical and faster installation of primary treatment. Clariflocculators are having high torque centre drive with sludge arm device. We are the only manufacturers to provide this feature as standard. main feature of clariflocculator, unlike other is, concentric paddle type flocculator mechanism which creates the flocs throughout the flocclation zone.